You are looking west up 6th Street from Marquette Avenue. 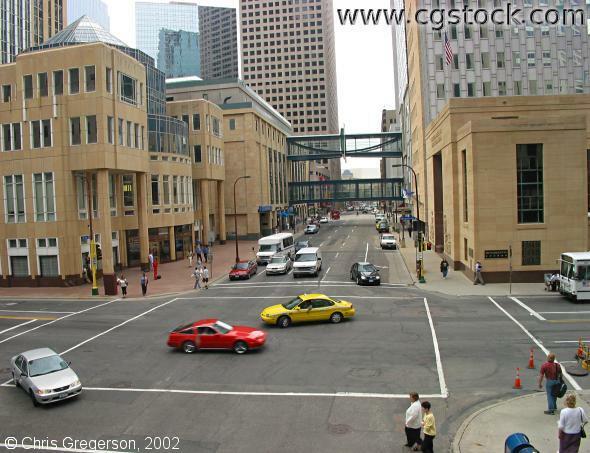 6th heads towards Nicollet and then Hennepin Avenue from here. The Wells Fargo Tower is on the left. The double skyways just down the block are unique. They connect the two halves of Gaviidae on the second and fourth floors. The Multifoods tower is in the background left of center.